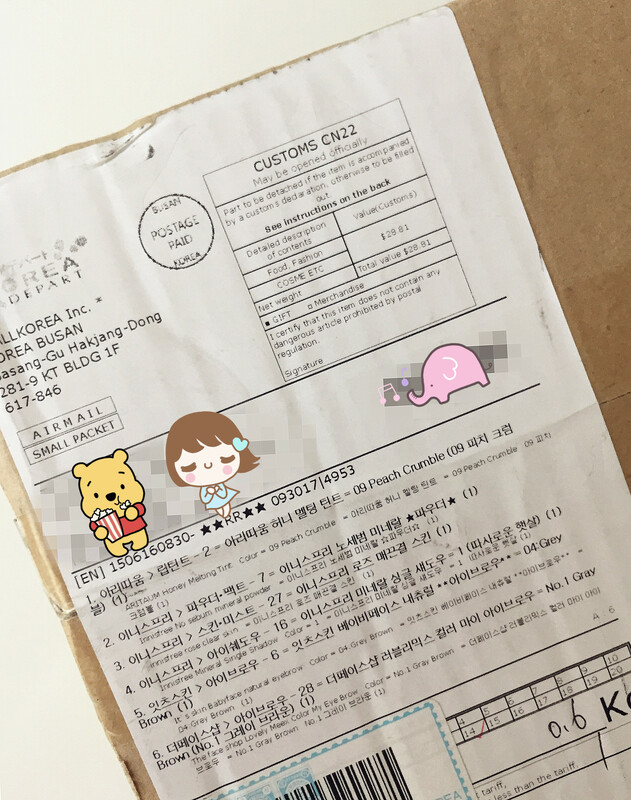 July 8, 2015 September 30, 2015 / Elizabeth T.
My package finally arrived today (a wait of about 2 to 3 weeks), so I wanted to share some of it with you! This is one of my favorite toners because it smells so fresh and clean. I’ve used this off and on for about two years now (I switch periodically between this and Laneige’s toner), and I really love it because it’s really moisturizing yet light. 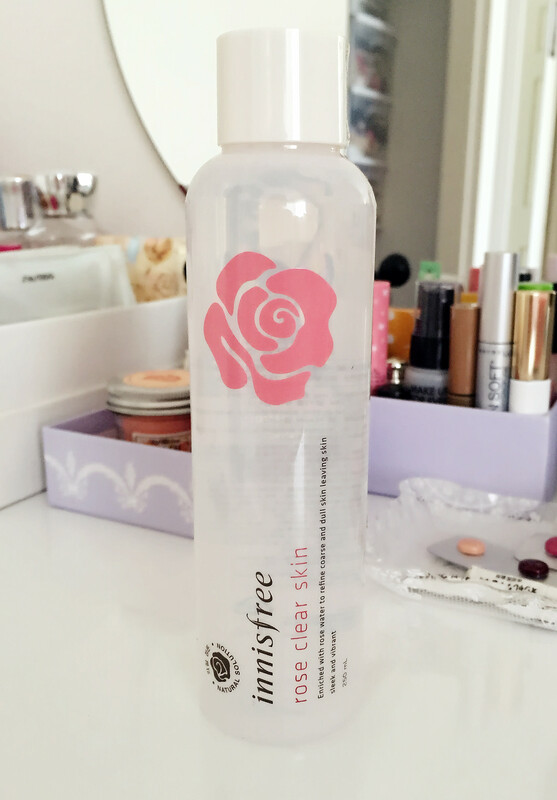 The rose extract really clarifies the skin, and hyaluronic acid moisturizes, making it a perfect toner. And for the price that it’s sold for, I think this toner is definitely one of the best products that Innisfree has ever produced! 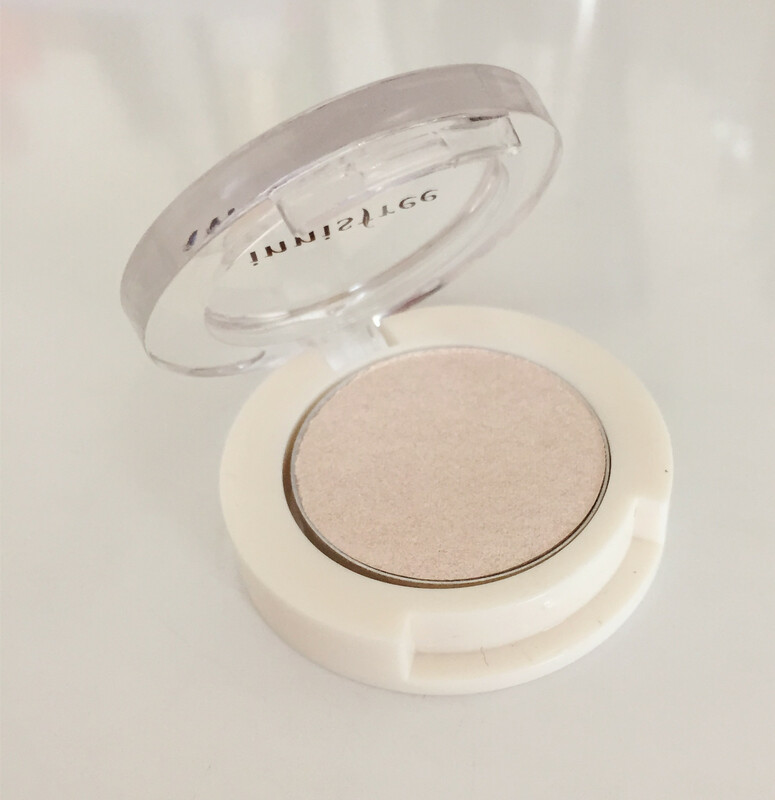 One of my favorite loose powders for setting makeup, this Innisfree No Sebum Mineral Powder is comparable to both Shiseido’s and Shu Uemura’s, but of course for less than half the price! 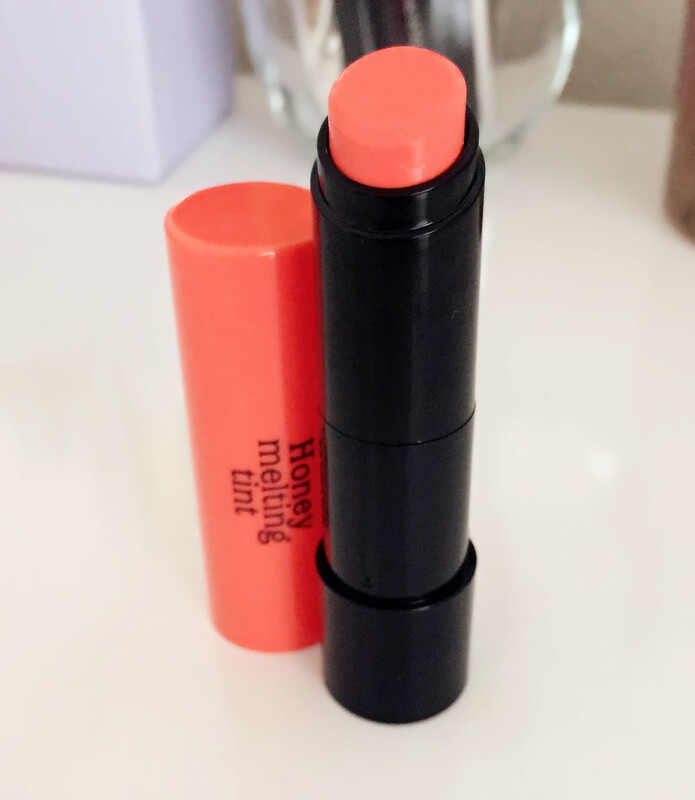 😀 I’ve been using this for about two years now, and I’m absolutely in love with it! And a big plus – a little goes a long way (which is why, even though it comes in such a small package, it’ll last for such a long time)! 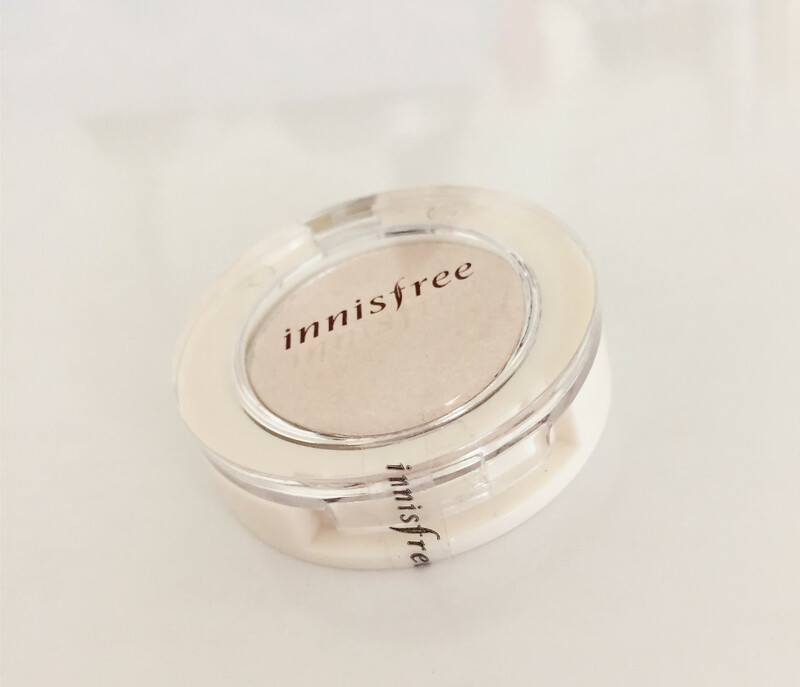 What’s even better is that Innisfree stays true to its brand of eco-friendliness, as this powder is paraben-free, tacl-free, artificial-pigment-free, animal-natura-material-free, mineral-oil-free, and artificial-scent-free. Korean makeup really emphasizes glitter, especially for the lower eyeline so that the aegyo sal (or a slightly puffy eye bag) is more prominent, as it accentuates a more youthful, playful, and innocent look. 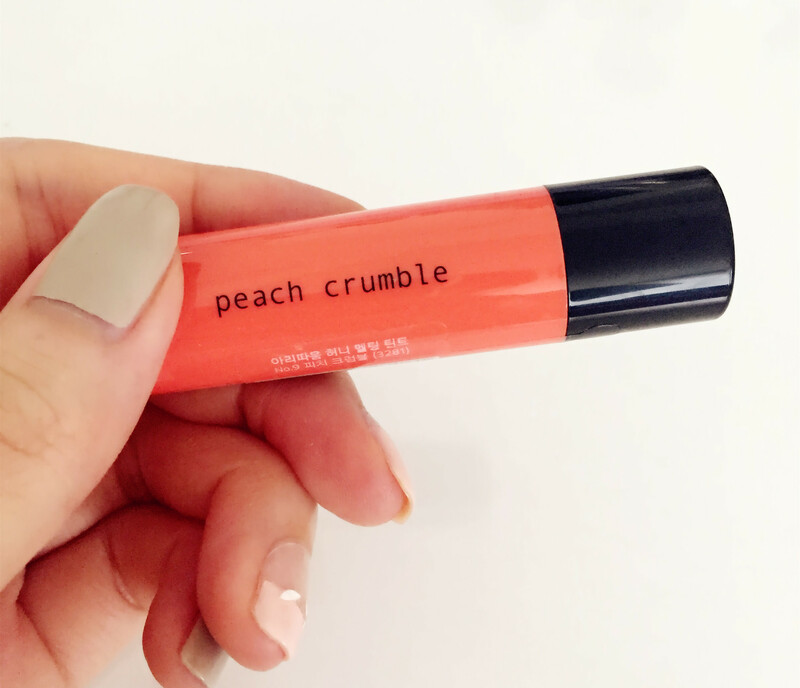 I’ve tried a lot of eyeshadows, be it dry or liquid, but I’m always open to trying new ones, especially this one because it’s gotten so much good reviews. 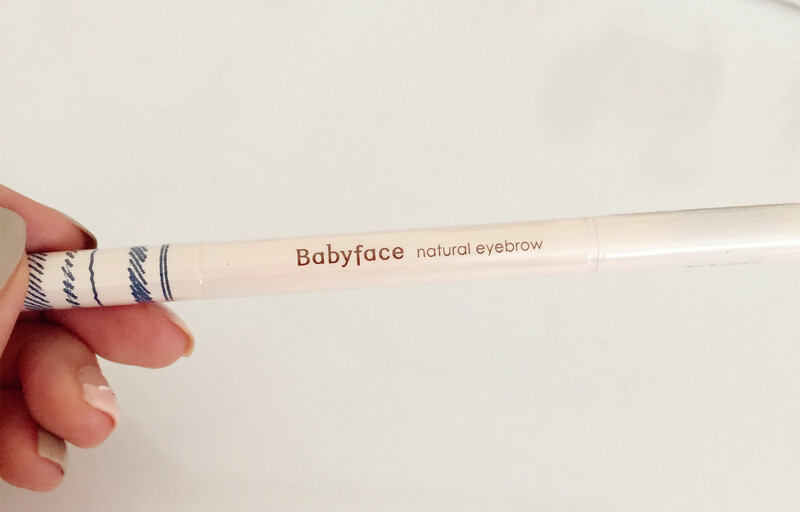 Another item that I’m restocking is this eyebrow pencil. 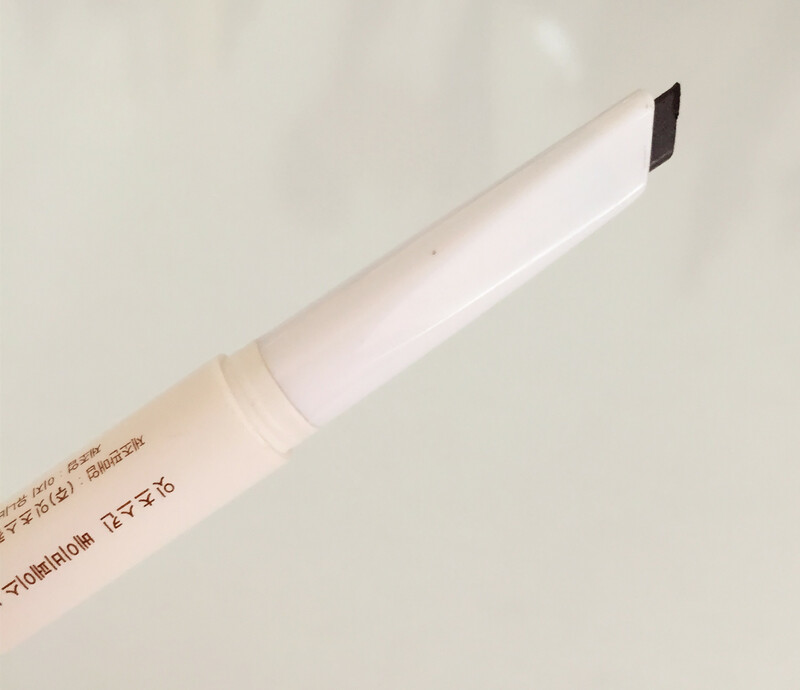 It really makes drawing/filling in my eyebrows so easy and fast, and I love the colors that Korean cosmetics offer because they’re a lot lighter than the ones that are offered on the American market. While American makeup emphasizes bold and very defined arches, Korean makeup focuses more on softer and fuller brows that accentuate the natural shape, be it an arch or straighter brows 🙂 This gives off a more youthful look, and the softer colors help brighten up the whole face. I’m absolutely in love with this browscara! 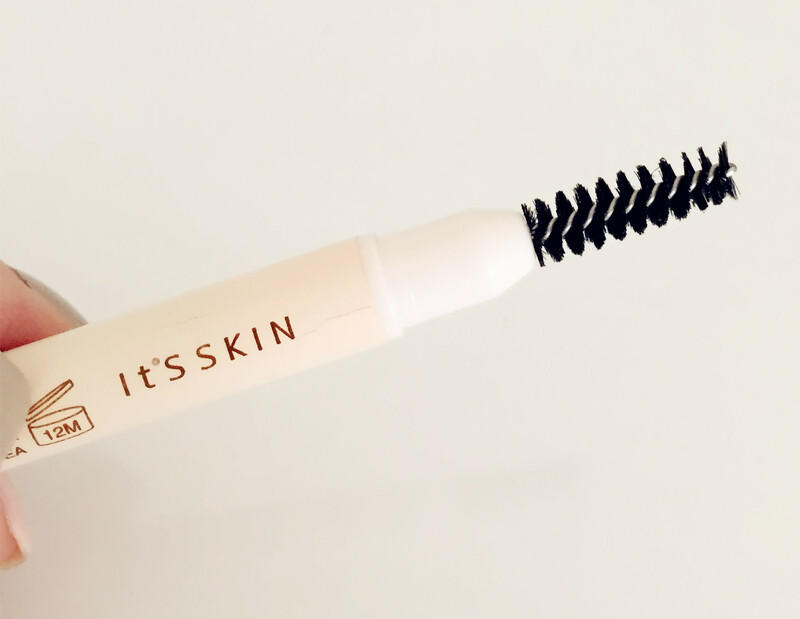 🙂 I used to be okay with just filling in my brows, but after I started using this eyebrow mascara, I don’t think I can ever go back to the way it used to be! 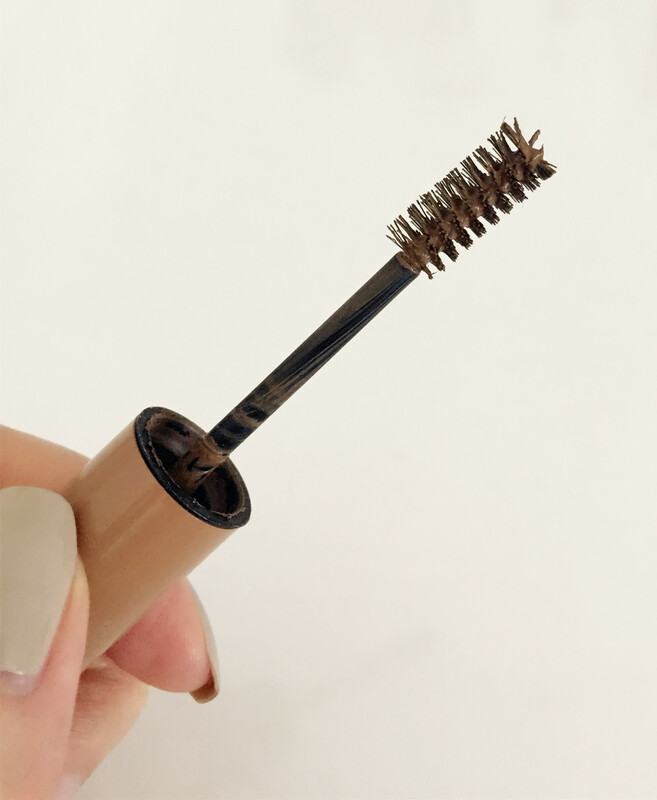 The browscara has a somewhat thick formula, but when applied to the brows, it really helps the hairs stay down while giving it just a light pop of extra color. 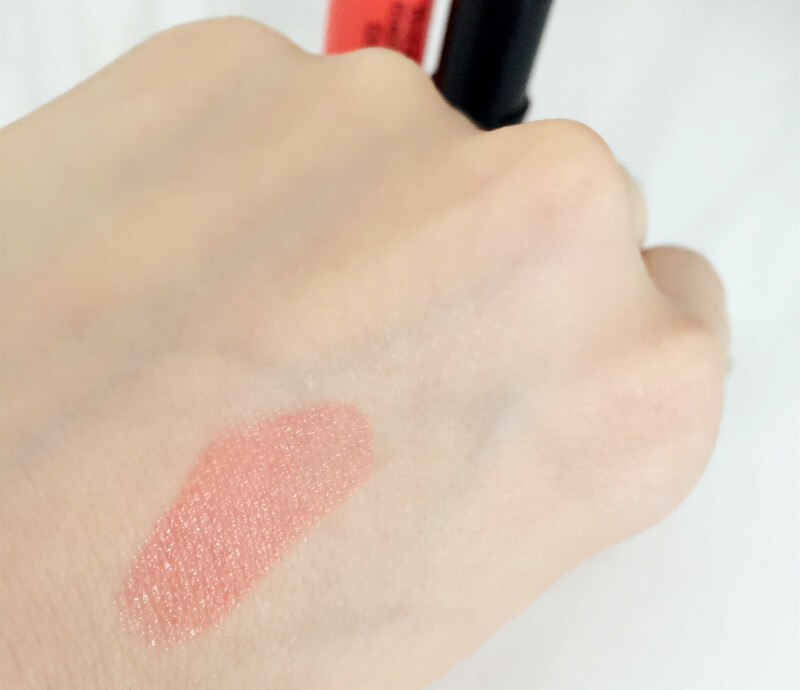 And lastly, one of the products that I’m super excited to try is the ARITAUM lip tint! 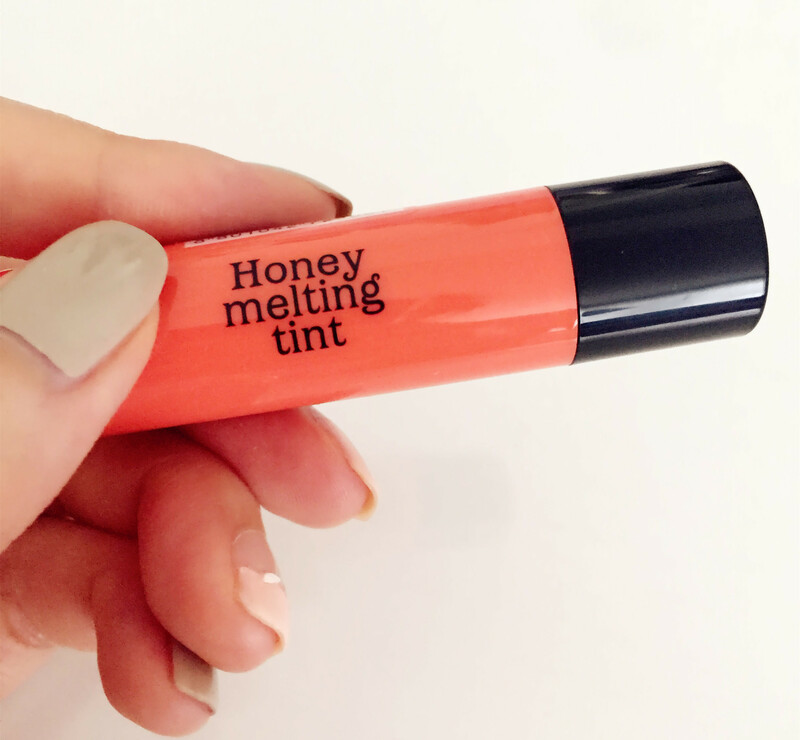 🙂 It’s one of the most popular lip tints in Korea right now, so I decided to get to try as well! I am a fan of Korean skincare products too but prices (e.g. Skinfood) are much more expensive in the US. Thanks for introducing Koreadepart, and for the different product reviews. 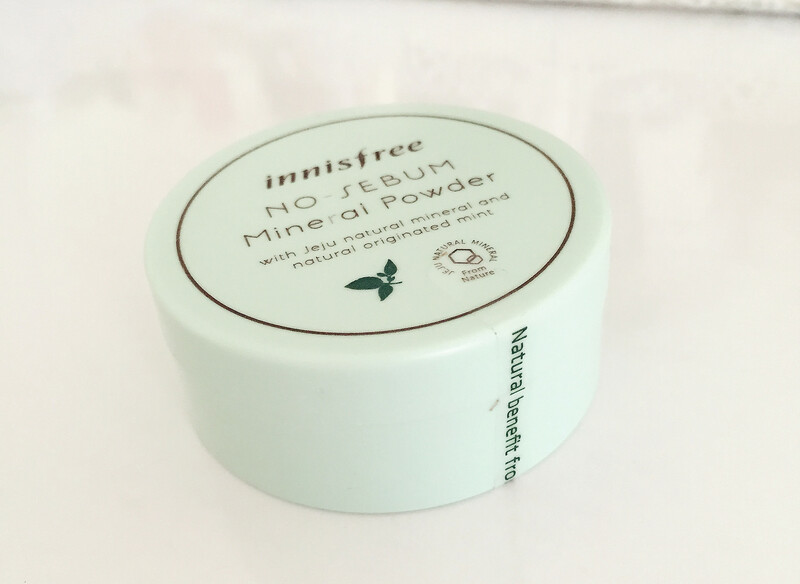 The Innisfree No Sebum Mineral Powder seems like a great product which I might try out! Love this post. 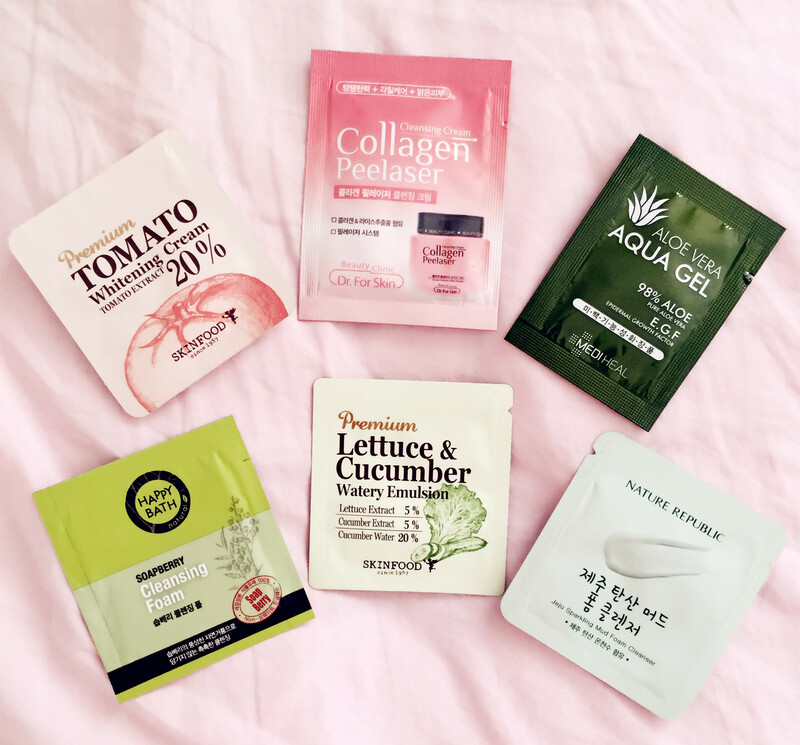 Korean products are definitely next on my list! I need to try these products! Yes, I love the packaging of Korean products so much ❤ Everything's so cute and simple! 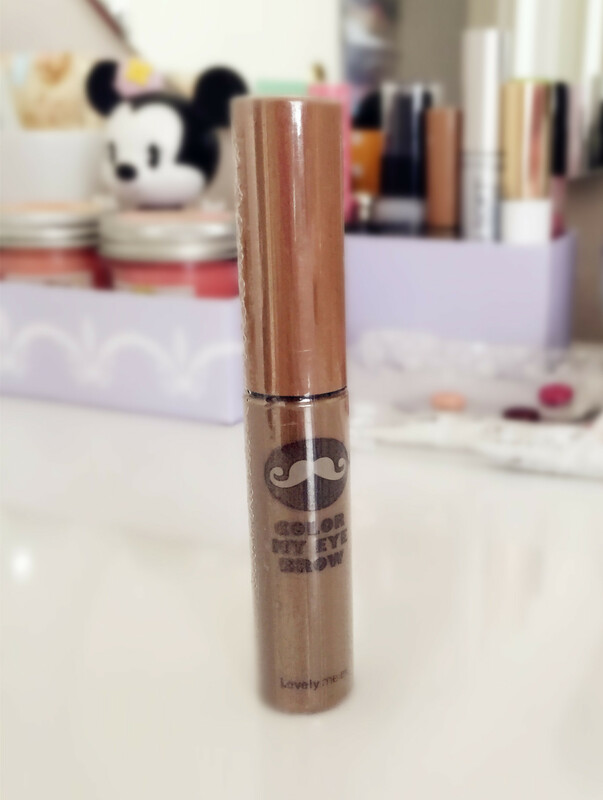 And yes, definitely give Korean makeup a try if you get the chance ❤ They're amazing! Aww I’m glad to hear that you’re going to give some Korean products a try 🙂 I promise you won’t be disappoint ❤ Thank you so much for stopping by, Natalie! 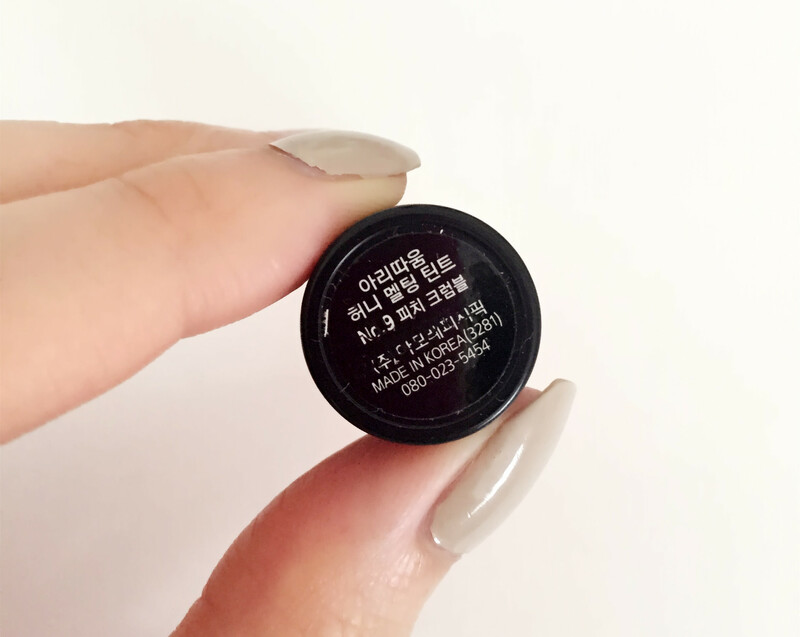 I love Korean skin care+make up products…my products had turned from a French/American mix to Korean now, lol. 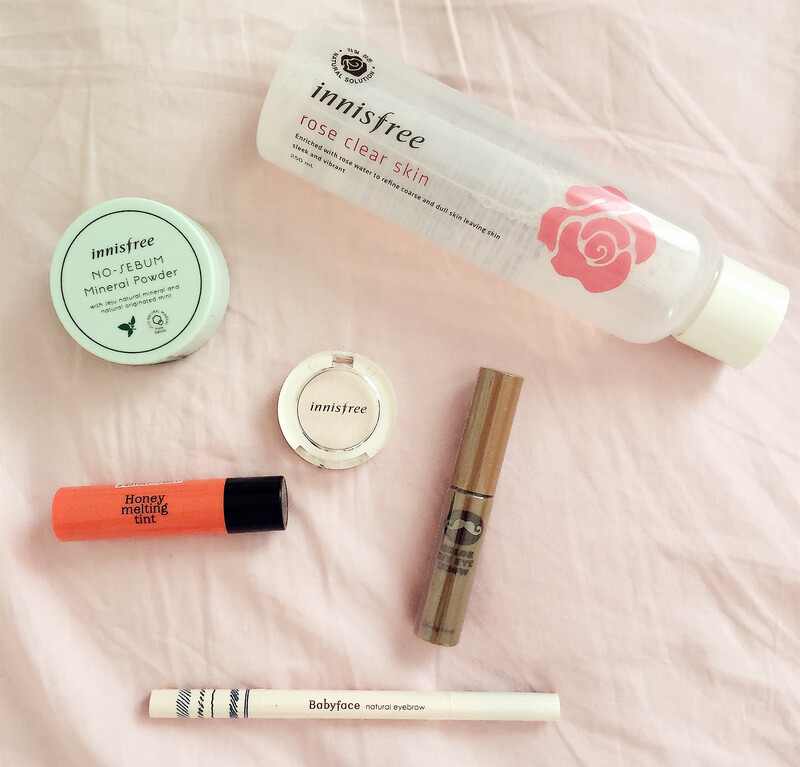 I have super sensitive skin and innisfree really save my life. Many in Asia actually used is as a kinda dry shampoo or powder when they don’t bother to wash their hair-when they have oily hair or want their stick out hair to stay where they want in their head.